News from LMCU: Following our snow-birds to southwest Florida! Following our snow-birds to southwest Florida! Headed to the Sunshine State for the winter? See you there! 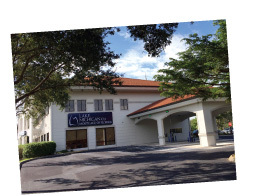 Lake Michigan Credit Union of Florida now has a new retail branch office and mortgage center open in Bonita Springs, located at 24201 Walden Center Dr. So while you might not miss Michigan’s annual winter onslaught, our familiar branch sign will certainly remind you of home. Drop by sometime to say hello.